HONG Kong needs 100 electric buses and 100 electric minibuses to help cut current air pollution levels with the vehicles costing about HK$300m, according to Hong Kong Polytechnic University (香港理工大學) researchers. Public transport vehicles are the major source of air pollution, contributing to a massive amount of suspended particles a year. If all public transport vehicles switched to electric, roadside suspended particles would drop by 17 percent, the researchers projected. They said existing electric buses are ill-suited for Hong Kong and recommended electric vehicles to use European exteriors and mainland batteries. The PolyU team visited about 10 cities last year, including Shenzhen (深圳), Chongqing (重慶), London (倫敦) and Munster (明斯特) to observe operations of electric buses and minibuses. The team found the electric vehicles are facing issues of unreliability and insufficient charging facilities. Electric buses that had been introduced to Hong Kong had run into problems too. PolyU associate professor Hung Wing-tat (熊永達) said the government should be proactive and take the lead to provide policy and financial support in purchasing electric buses and developing charging infrastructure. The team recommended a European vehicle exterior, which is more durable, and lithium-titanate batteries made in the mainland with ultra-fast charging - just eight to 10 minutes of charging time for a 10-kilometre journey. China has been manufacturing batteries for a long time and has many large research and development facilities. 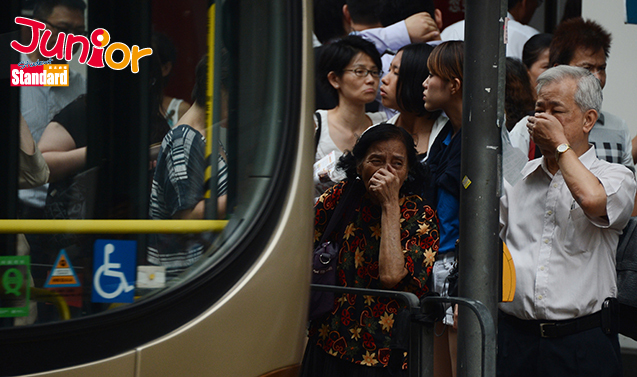 Hong Kong had 7,193 single-deck buses, 5,779 double-deck buses and 7,431 minibuses in 2015.